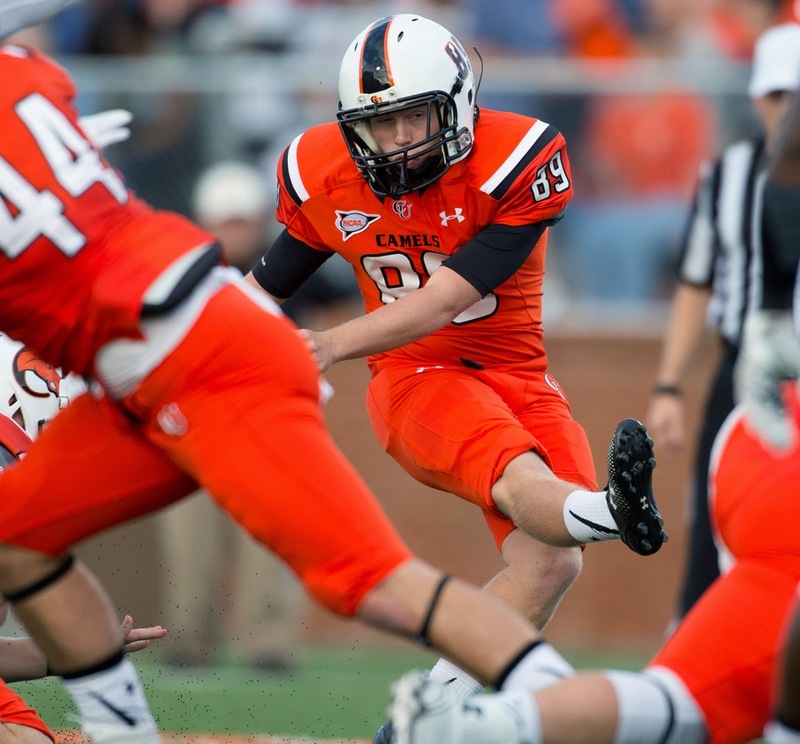 BUIES CREEK, N.C. – Campbell’s Luke Hill and Mitchell Brown have been named the Pioneer Football League’s Defensive and Special Teams Players of the Week. 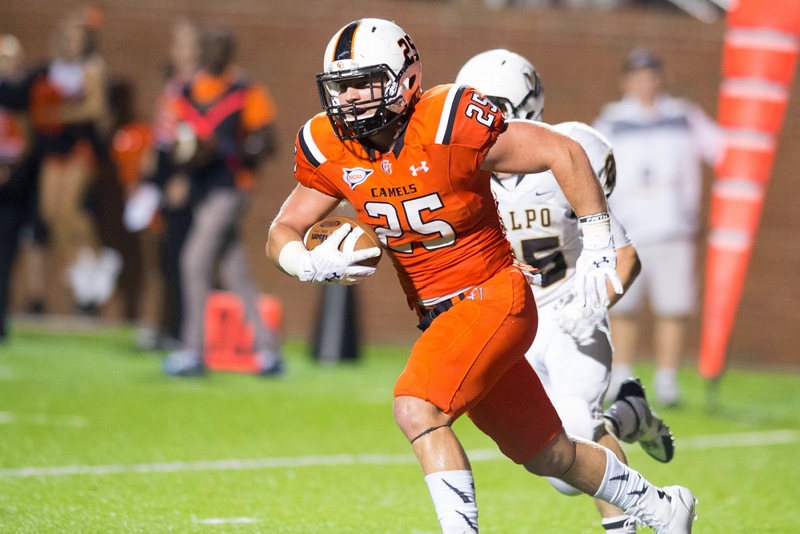 Hill, a senior linebacker, picked up one of the biggest interceptions in Campbell history, snagging Ben Lehman's fourth quarter pass on the goal line and returning it 77 yards. The Camels held a 27-24 lead at the time, setting up DeShawn Jones' 23 yard touchdown run to put CU up 34-24. Hill also batted down two passes and recorded a tackle in the CU win. Hill’s interception was one of three on the night for the Campbell defense, and one of two in the fourth quarter. Brown, a freshman kicker, converted two 30-yard field goals in Campbell's 34-24 win over Valparaiso, staying perfect on the year. Brown is 5-for-5 with a long of 42 yards, also making all five extra point tries. Brown's first field goal came in the first quarter, putting Campbell up 3-0. The Mount Airy, N.C. native then opened the third quarter with another field goal, putting the Camels in front 13-10. Campbell scored on all five trips into the red zone to defeat Valparaiso in the PFL opener for both schools. The Camels won their PFL opener for the first time since joining the league in 2008. Campbell's crowd of 6,370 marked the second-largest in Barker-Lane Stadium history. The PFL weekly honors are the first career for both Hill and Brown. Ugonna Awuruonye was the last Camel to pick up a PFL Defensive Player of the Week nod, taking the final honor of last season after a win over Davidson. Jonathan Rogers also picked up special teams honors that same week, returning his second kickoff for a touchdown in 2013. Campbell returns to action next Saturday (Oct. 4) with a 1:00 p.m. kickoff at Morehead State.